Discussions will be held at the IOC headquarters in Lausanne between Bach and Chang Ung, a member of the North Korean Olympic body, the source added. 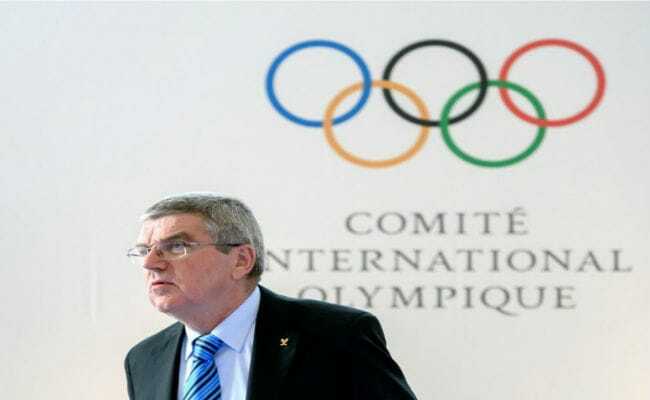 Lausanne, Switzerland: International Olympic Committee president Thomas Bach will host talks over North Korea's possible participation in the Winter Olympics, which are being staged in South Korea, in "the middle of the week", a source told AFP on Sunday. On Saturday, Chang said the hermit state was "likely to participate" in the Games in Pyeongchang from February 9-25, Kyodo news agency reported. South Korea said Saturday that they already proposed sending a five-member delegation led by a government minister to rare talks with North Korea next week, the Unification Ministry in Seoul said Saturday. The offer came a day after the two Koreas agreed to hold their first official dialogue in more than two years to discuss the North's participation in the Winter Olympics. The tentative rapprochement comes after the North's leader Kim Jong-Un warned in his New Year speech that he had a nuclear button on his desk, but also said Pyongyang could send a team to the Olympics. In recent months, the North has held multiple missile launches and its sixth and most powerful nuclear test -- purportedly of a hydrogen bomb -- in violation of UN resolutions banning such activity by the isolated nation.